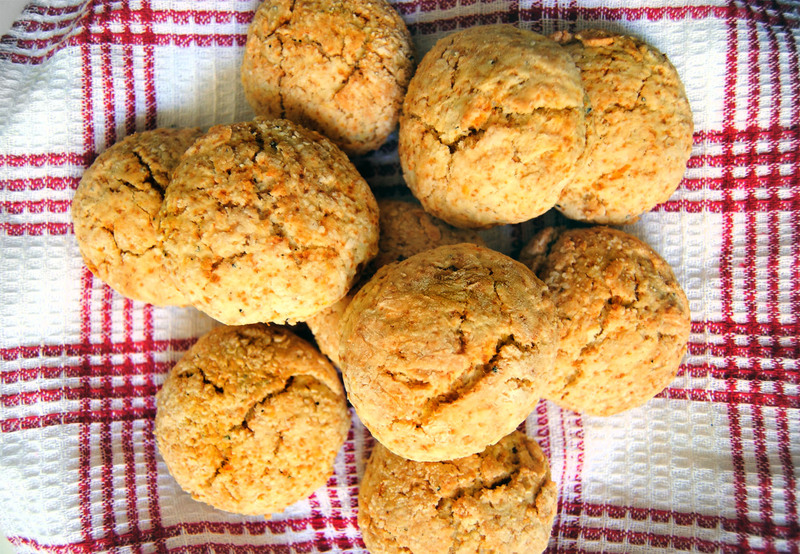 Sweet orange and fragrant cardamom liven up a basic scone recipe. These taste wonderful and will make your house smell great! It’s amazing just how powerful a smell can be. I went for a bike ride along the coast the other day and was stopped in my tracks by a familiar smell, a mixture of pine and eucalyptus, that took me back to my home in Northern California. It was a shock, like someone had picked me up from the seat of my bike and then dropped me back down, but an ocean and a continent away. It wasn’t the first time something like that had happened, of course. Smells are always taking me away, to places I remember visiting as a child, or straight into the arms of long-lost loved ones, or back to I’m-not-sure-where-but-I-feel-safe-there. That last one might be the best, when it’s a familiar smell that I can’t quite place, but that for whatever reason is just so comforting to me. About a week ago, I made a batch of Orange Cardamom Scones and decided to try grinding the cardamom seeds using a mortar and pestle, “just because”. (One day I’ll spring for a spice grinder, but not today.) My entire house was filled with the gorgeous aroma of cardamom and I just stood there, alone in the kitchen, grinding away and breathing in the aroma, feeling safe and cozy. The smell got even better when the scones were in the oven - warm, spicy cardamom and sweet orange. I won’t make an aromatherapy joke… or will I? You don’t have to use freshly ground cardamom if you make these, of course, but if you have some extra time (and/or a spice grinder) why don’t you give it a try? It really makes a difference. Either way though, they’ll be wonderful. I hope you enjoy this recipe as much as I did! I must admit – I screwed up this recipe. I’ve made these scones several times before and they have always turned out perfectly, but this time I over-mixed the dough (with my freakishly warm hands), so the scones didn’t rise nearly as much as they normally do and ended up denser than normal. They still tasted amazing, which is why I decided to share them here anyway. If you don’t make the same mistake I did, your scones will rise beautifully. 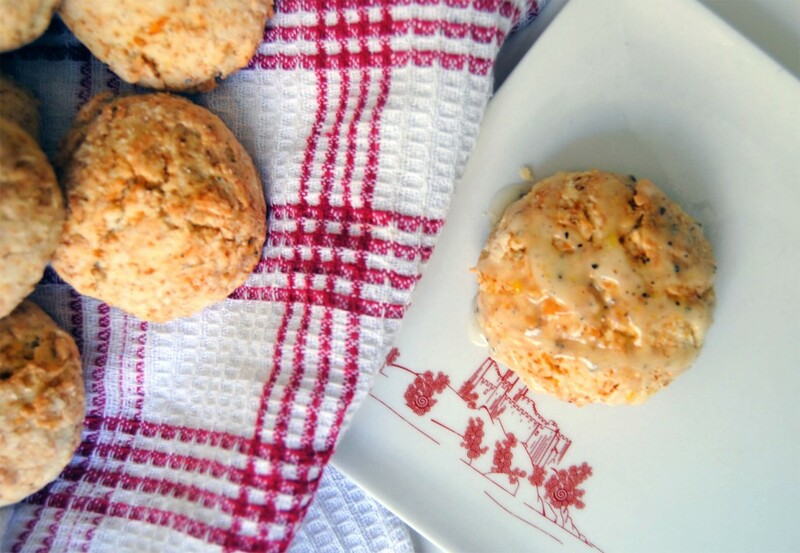 You could also use your favorite scone recipe, if you already have one! Just add orange zest and cardamom to the dough and make a tasty glaze to go on top. Also, a trick that I like to use when making scones is to freeze the butter beforehand and then grate it into the flour mixture using a cheese grater. I find it easier and more effective than using a pastry cutter, and it also helps to prevent over-mixing… usually! Preheat oven to 400ºF/200ºC. Line a baking sheet with parchment paper. In a large bowl, combine flour, sugar, baking powder, baking soda, salt, cardamom, and orange zest. Using the larger holes of a cheese grater, grate butter into the flour mixture, and stir with a fork or your hands until the mixture resembles a coarse meal. Whisk together egg and sour cream in a small bowl, and slowly add to the flour mixture. Stir with a fork until large dough clumps form. Use your hands to gently press the dough into a ball. Place dough on a well-floured surface and pat into a 3/4-inch thick circle (it’s a good idea to flour your hands first). Dust the dough with flour. Cut into desired shapes (I prefer circles but triangle wedges are easier!) and place on the baking sheet about one inch apart. Bake about 15 minutes or until golden brown. Let cool before glazing! To make the glaze, mix powdered sugar, cardamom, orange zest and orange juice in a small bowl until smooth. Drizzle over scones using a spoon. Oh my, these sound delicious! And there is interesting neuroscience regarding the power of smells to transport us back in time, so you’ve nailed that, too!